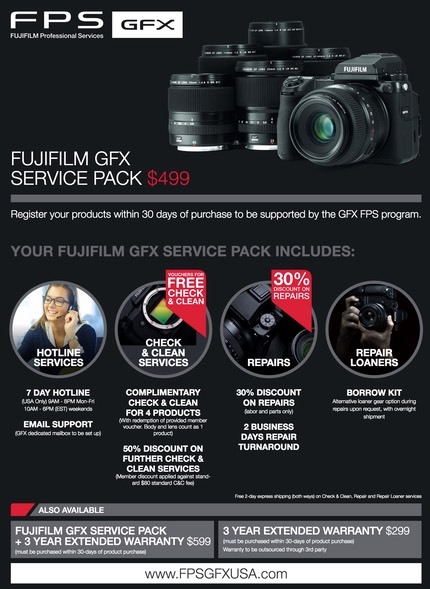 Fujifilm announced a pro services plan for the GFX in the US, which will begin on May 1st. This pay-to-play plan is similar to other professional services, in that it includes cleaning services, faster and discounted repairs, and loaner cameras. There are some odd bits and pieces. 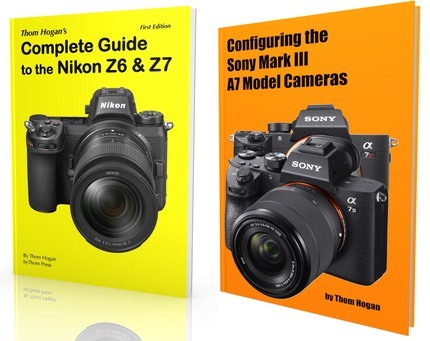 Two that caught my eye are the requirement that you join within 30 days of buying the gear in question, and the fact that Fujifilm disclaims providing refunds for almost any kind of dissolution of service. Also, you Alaska and Hawaii folk are not eligible for the service; only continental US street addresses are allowed. One thing to note: the combination of three-year extended warranty and joining the Fujifilm Professional Services is highly discounted (US$599 instead of US$798). That option doesn't appear on the main page—and I don't have a GFX camera to register so can't see the subsequent pages—so I'm not sure how easy it is to sign up for that option.